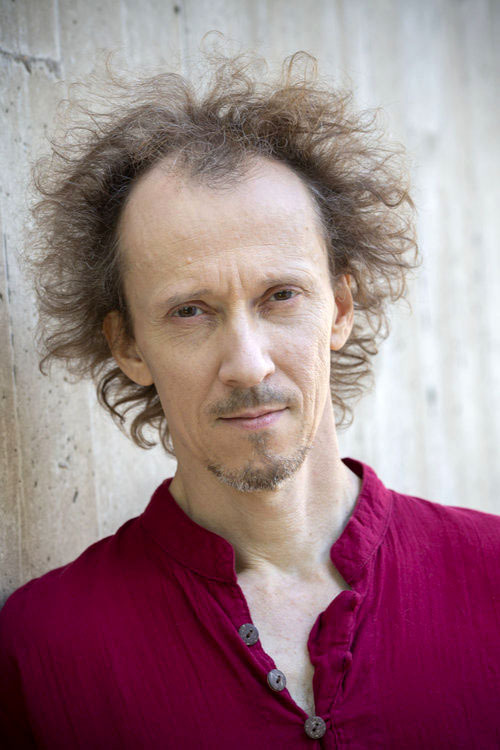 François Richomme is a French composer who creates compositions in collaboration with choreographers. 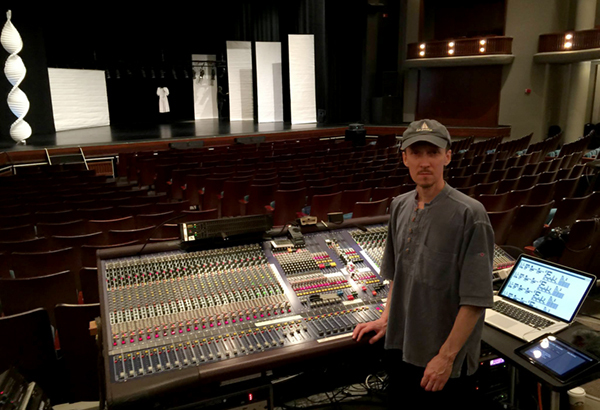 His one-of-a-kind approach to composition has led him to work with choreographers worldwide. Here, he shares some of his process and what makes him unique, as well as his underlying philosophy that composition and choreography are fundamentally the same pursuit. How did you get into composing specifically for choreography? As a child, I started playing music and making recordings. I started with acoustic instruments and later moved to electronic instruments. These are all activities I continue to do to this day, but I rarely perform on acoustic instruments now. When I was young, I did martial arts, but at some point stopped because I didn’t want to get injured. In my 20s, I decided to try dance. I specifically discovered the world of contemporary dance, and it was a shock; it was the exact thing that was missing in my music. Music, being ethereal, needed the body. I fell in love with dance as much as I fell in love with music when I was younger. I wanted to understand the world of dance and choreography, so I started to take lots of workshops. I went to the Choreographic Center in my city. I started to practice and get all the information I could. It was a very intense study. This led me to meet choreographers, especially when I travelled. I met Anna Halprin and started to work with her. I also studied Body Mind Centering, Feldenkrais and Alexander Technique, not because I wanted to become a performer, but because I wanted an inside understanding of the processes of dancing and choreographing. My composition didn’t evolve from a music perspective from that point on. It evolved from a dance perspective. For example, I don’t stay seated when I compose. When I’m working in my recording studio, I need to be moving. How do you decide which choreographers to work with? It’s been very natural. People often come to me. Very soon I discovered there are not a lot of people doing what I’m doing. People wish to collaborate with me to try new ways of using music. They are inspired by the music and I am inspired by the dance. What is your process? Does it vary project to project, or do you have a basic way of working? There are many ways of working. Even though I work with people across the world, I always manage to be there for at least part of the process, most likely at the beginning. Then I can get inspired when I return to my studio. When I’m back in my studio, I work with the philosophy of the piece. I ask: What is behind the work? This understanding goes into my body. With choreographer Rosy Simas, we met when we were studying Zero Balancing with an American osteopath. Rosy has a strong background in somatics, as do I. We have developed a very strong collaboration partly because we have that common language. Sometime after the workshop, she called me and proposed we collaborate. It was a very natural process. We have a deep and introspective way of working together, which has created a strong connection. Is there a project you feel was particularly successful or interesting that you want to share more about? Luckily for me there are many. My second major collaboration with Rosy was We Wait in the Darkness. It was a very personal work for Rosy about her grandmother, her lineage, and her Seneca history. We went to the reservation and I recorded footage of the natural environments, like the snow falling and the wildlife. I made sound footage and she made video and photography footage. We then went to the cities and met with Seneca people to make recordings out of the Seneca language. It was a delicate moment; I met with people whose culture has been historically so attacked and is still jeopardized today. I was recording a language that has almost disappeared. There are still a few people speaking the language, but not very well. There are even less people who are very fluent at speaking Seneca. One of them wrote a dictionary. Recording the language became very precious. I used these recordings to compose the score with their permission of course. When Rosy dances, she goes into the DNA in her cells to express her culture. My attempt was to do that on the sound side. There’s dance “to” the music, and music as atmospheric accompaniment. Your work has been described as environmental… Are you proposing a new way of relating movement and sound? Maybe; I’m not aware of people working the way I do. Because of all my experiences working with choreographers and dancers internationally, I’ve developed something very specific. It can be difficult for me to talk about what I’m doing. In fact, I’m still developing it. People like John Cage made music for dance a long time ago. It’s not a new field, but there’s not a lot of scholarship on the subject. At one point, I even thought about writing a book. There’s been plenty written about music for theater or music for cinema, but almost nothing written about music for dance. It has to deal with the boundaries of what we call music. What is music really? What is the difference between music and sound? It’s the same question as: What is the difference between movement and dance? I very rarely use acoustic instruments. I mostly do acousmatic music, using microphone recordings and synthesis. I create landscapes, like rivers transforming to oceans, but sometimes they are not recorded; they are created from scratch. This gives me control. When I record an ocean, I have limited options to compose. If I produce all the algorithms that create the individual parts, then I control it and then I’m composing at another level. I can make it roar, or I can make it stop instantly. I can make dramatic changes that nature doesn’t do. I was speaking of boundaries earlier. This is a good example – by creating artificial but natural sounds, it becomes possible to have control beyond playing a recording of birds. I create the sounds of the birds themselves, and then I can compose with them, make them sing. By combining these techniques with natural sound recordings I have the best of both worlds. How have changes in technology over the past couple decades affected your work? Of course, technology gives me the ability to travel with a powerful laptop computer. This allows me to use my tools everywhere. A very important part of my work is surround sound. I never work with only two speakers. I don’t have anything to show on the web because it’s reductionist of my work and doesn’t mean anything. Technology allows me to change the number of speakers very quickly and how the sound travels into space. It’s just new means, but it doesn’t change the fact that composing is composing. In the end, I’m interested in the result and the meaning of what we do. What is the difference between composition and choreography? I don’t even know. It’s just putting together a structure that has meaning. I’m not even willing to project what meaning the audiences get from the dance and composition. What is important to me and my collaborators is the process and why we do what we do. The very nature of what we do is embedded into the piece. Whatever people take away doesn’t change that embeddedness. Where do you see the relationship between dance and music going in the future? Some drastic changes have happened during the 20th century. If we look at The Rite of Spring, for example, there is an obvious connection between the dance and the music. Later, in the work of John Cage and Merce Cunningham, there is a disconnection in the process; the composition and the choreography were created separately. We have reached a point where we are producing meaning no matter how elusive this meaning may seem. Whatever the technology and process is, we have to ask what the philosophical, political, personal and cultural subjects are that we are going to talk about. In the past decade, I’ve been collaborating with Rosy Simas and Jack Gray, who are Native and Indigenous. This has strongly challenged my way of composing. Sometimes, after a performance, people want to learn more about the music. This is wonderful, but I always remind them that it is a collaboration with the choreographer and the dancers. People in Europe have little knowledge of Native American cultures, Maori culture, cultures from the Pacific, etc. Because I’m working with Indigenous cultures that are so far from European cultures, I have developed a worldview that has shifted over time. It seems people here don’t understand where I’m coming from now. I really am trying to answer your question about the future relationship of dance and music. I think what we are doing says a lot, me coming from Europe, collaborating with people from Indigenous cultures. This, to my sense, is the future of the collaboration. It can open doors and open the field to our humanness. Collaborative work includes the personal level, since we are all specific human beings. Then there’s the cultural level, which artists like Rosy Simas and Jack Gray are including in their work with such strong dedication. Then there’s the universal aspect, which is essential. This is how a French guy, a Seneca woman, a Maori choreographer can have something in common. We can be connected despite our distances. This is at the heart of my practice. To learn more, visit www.francoisrichomme.net. Thanks Katherine! What a cool book – thanks so much for putting together such an incredible resource! Thank you for sharing your thoughts! Hope someday to see one of your collaborative works/hear your music. Meanwhile, since you know there is not much published about musical collaboration for theatrical dance, I thought you would be interested in my Oxford University Press book of readings: Making Music for Modern Dance: Collaboration in the Formative Years of a New American Art. It includes more than 50 first-hand essays written by collaborating choreographers and composers themselves. Doesn’t cover what is happening now, but you might enjoy reading the thoughts of composers who went before you! Best wishes!